The world of storage is being transformed by the maturing of flash arrays, an approach to storage that uses multiple, solid state flash memory drives instead of spinning hard disk drives. An all-flash array performs the same functions as traditional spinning disks but in a fraction of the time required and in more compact form factors. Given its superior performance in certain contexts, all-flash arrays are experiencing strong industry adoption. 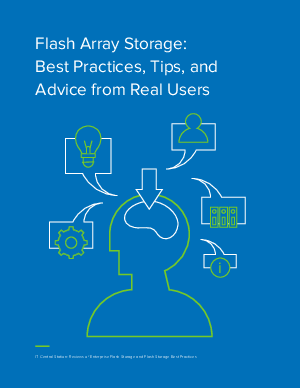 However, best practices and a true understanding of key success factors for allflash storage are still emerging.